상단의 이미지를 클릭하시면 홈페이지로 이동합니다. 워싱턴주 전 지역의 주택 Active 리스팅과 Bank Owned, ShortSale 3만 이상 가지고 있습니다. 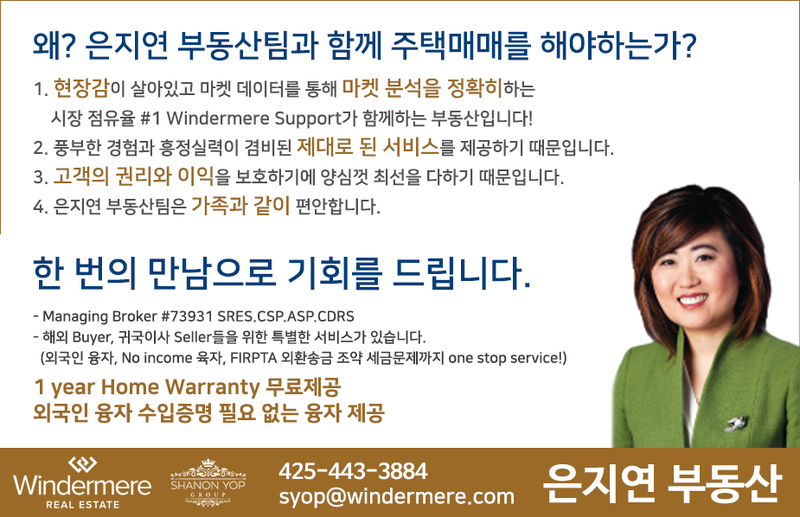 은지연 부동산은 현재 Windermere Real Estate/ Bellevue 의 Managing Broker이며 Certified Default Resolution Specialist(CDRS-거래실적으로 인정되는 Gold Membership) 입니다.